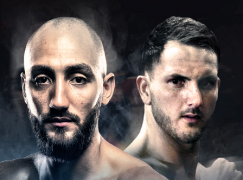 Cefn Fforest’s Nathan Cleverly (29-2, 15KO) is waiting patiently for a venue to be confirmed for his date with Andrzei Fonfara (27-3, 16KO) but he’s making the most of his time and started sparring this week. 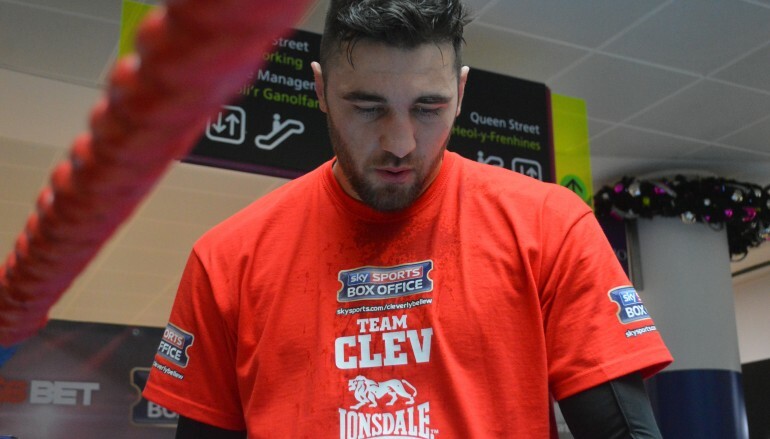 It’s been six weeks since Matchroom Sport’s Eddie Hearn announced that Cleverly will travel to America in October and the Welshman is still waiting for the finer and final details about the show, which will be a part of Al Haymon’s Premier Boxing Champions [PBC] series. On Tuesday, it emerged that the WBC have ordered Fonfara to fight in a final eliminator against Malawi’s Isaac Chilemba to determine the mandatory challenger to belt holder Adonis Stevenson. However, the bout is unlikely to happen as Fonfara is advised by Al Haymon who doesn’t conduct business with Chilemba’s representative Kathy Duva of Main Events. The Cold War is the main obstacle stopping a unification between Stevenson and Sergey Kovalev, owner of the WBO, WBA and IBF titles. 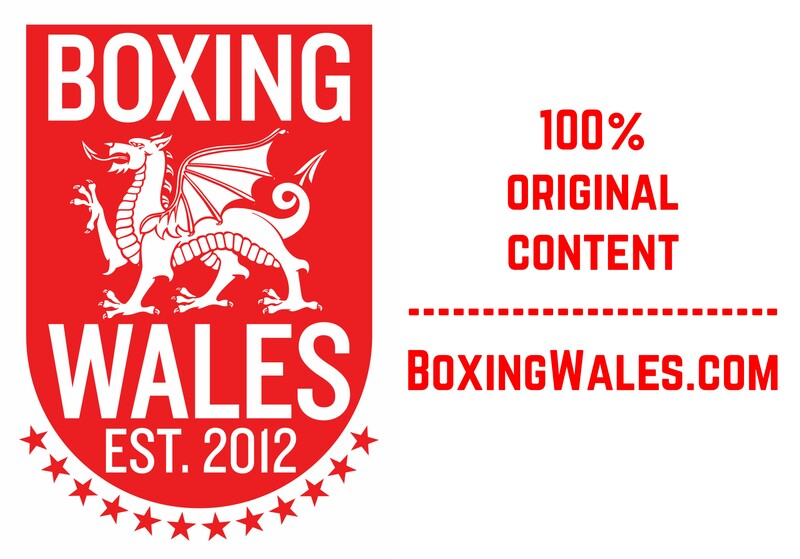 The WBC currently rank Cleverly at 12th in their ratings, which are updated monthly. This week, the former WBO world light-heavyweight champion has began sparring and started with Ireland’s Michael ‘Chuck’ Gallagher, a 19-year-old world class amateur who is looking to turn professional, at his base in Bargoed. 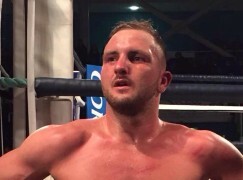 Gallagher, a heavyweight (91KG) from Finn Valley Boxing Club, travelled to South Wales with his coach Conor Quigley, the father of Jason Quigley who Cleverly sparred extensively in 2012, and shared 18 rounds in three consecutive days. 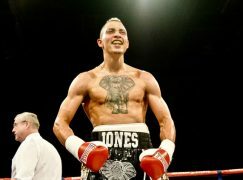 The relationship between the two camps developed through Darren Wilson, Cleverly’s trainer and the son of Irish parents who settled in the Rhondda valleys in the 1970’s. 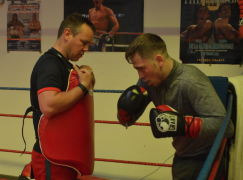 The experience prepared Jason Quigley for the European and World Championships, where he won gold and silver medals before turning professional with Oscar De La Hoya’s Golden Boy. Quigley, now based in California, has amassed an undefeated eight fight streak, all knockouts, and he’s establishing himself as one of the world’s best prospects. Gallagher has recently been sparring London’s Frank Buglioni, who is due to challenge for the WBA Regular world super-middleweight title next month, as he calls time on a successful amateur career. 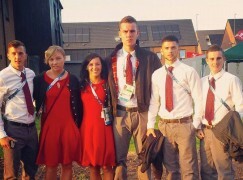 The Kinletter native has won ten Irish titles at various age categories, a bronze medal at the Youth Olympics in China and he reached the quarter-finals of the World Youth Championships, losing to Cuba’s eventual winner Yordan Hernandez in Bulgaria.